Court sessions that are open to the public, should be accessible to everyone. Neither physical disabilities nor geographical constraints should block access to a court session that someone is interested in! The LogDepot live streaming encoder, in combination with the Connected Views web-publishing platform, provides a live webcast, accessible from any PC, tablet or smartphone around the globe! The capture of the video signal is done automatically and efficiently. To control the meeting, the court staff can either use our easy web interface, to control the recorder and annotate speaker names and roles (judge, attorney, prosecutor, witness..) for display during the webcast. But they can also use room automation systems such as Crestron and AMX to start and stop streaming. All of this just to make sure that each action must only performed once! 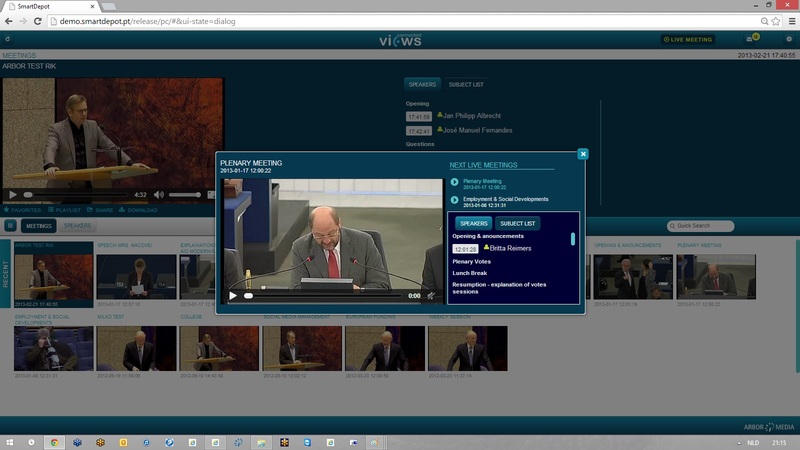 LogDepot is also used for Webcasting by City Councils and Parliaments.